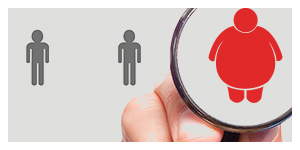 The OSSI welcomes all bariatric surgeons, and supporting physicians involved in obesity and metabolic surgery. Bariatric physicians, endocrinologists, anaesthesiologists, paediatricians, geriatricians, gastroenterologists and any other physicians, nutritionists, psychologists, physical trainers, and integrated health professionals. Applications will be processed within 2-3 weeks upon receipt of COMPLETE APPLICATIONS, required documentation and paid membership dues. Please have your current curriculum vitae, recent professional photograph, national surgical registration certificates, certificates of bariatric surgery training, and the details of two sponsors ready prior to starting your online application. Applications must be paid and all documents must be received before applications go to committee for approval. Surgeon practicing or committed to Obesity Surgery can apply for Full membership. The Life member will include complementary membership of IFSO (International Federation for Surgery of Obesity). Members will have a reduced fee for registration at the Annual congress of OSSI & World Congress of IFSO. The full member will have voting rights. This member will have voting rights and attend the annual general body meetings. Physician Specialist i.e. Endocrinologist, Diabetologist, Radiologist, Pulmonologist, Bariatric Physician, Cosmetic surgeon etc, and Para-medical person i.e. Nutritionist, Psychologist, Physical Trainer, Researcher, etc. can submit the application for Affiliate membership. The Affiliated member will have a reduced fee for registration for the annual congress of OSSI. This member will have no voting rights. Passport size photograph in color.